A lot of web developers are comfortable with the backend, but struggle to create a cohesive visual style and layout. What are modern best practices? How do web designers think about and structure a site’s CSS? thoughtbot’s designers use our Bourbon suite, a very popular set of tools to help designers and developers write clean Sass. It includes powerful mixins and functions to solve common problems and a responsive grid framework to create a mobile-ready grid right out of the box. 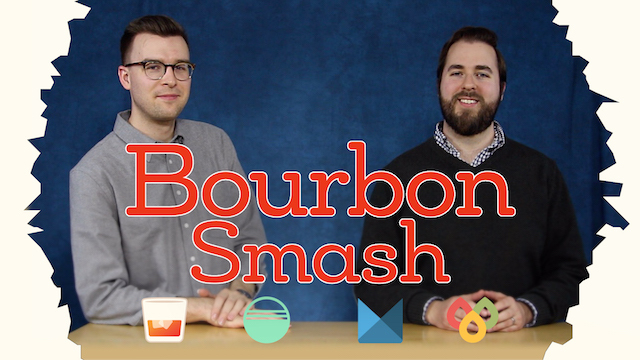 We’re very happy to announce Bourbon Smash, our newest course on Upcase. Bourbon Smash is a complete tour of every single tool in the Bourbon suite: Bourbon, Neat, Bitters, and Refills. Not sure what a grid framework is, or why it’s a good thing to use? Need a refresher on Sass? This course, hosted by Bourbon maintainer Tyson Gach, is exactly for you. It starts with Sass syntax, then moves onto Bourbon’s mixins, how and why to use the Neat grid framework, and how Bitters’ styles help you jump-start new projects. Finally, watch how Tyson organizes and thinks about a real project. The full course is available now to all Upcase subscribers, but we’ve made the first two videos available as free samples so everyone can check it out. Ready to write clean, maintainable Sass with Bourbon? To em, or to err.